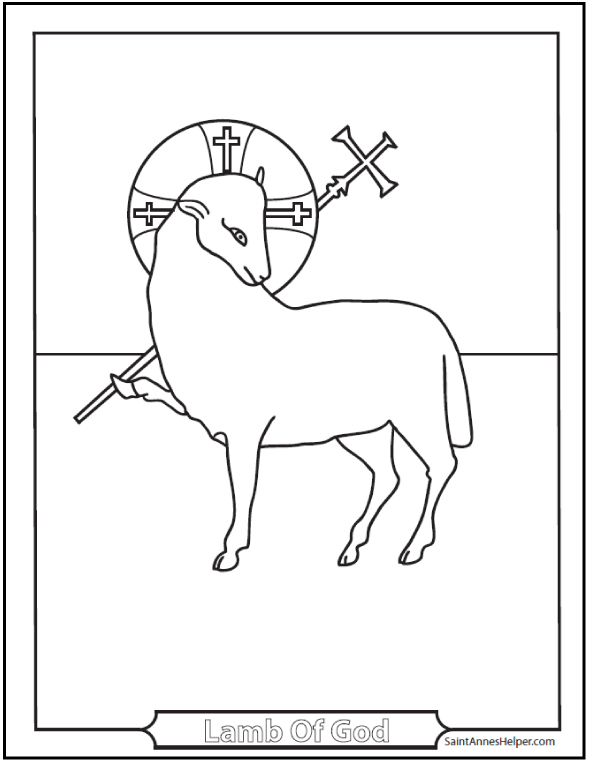 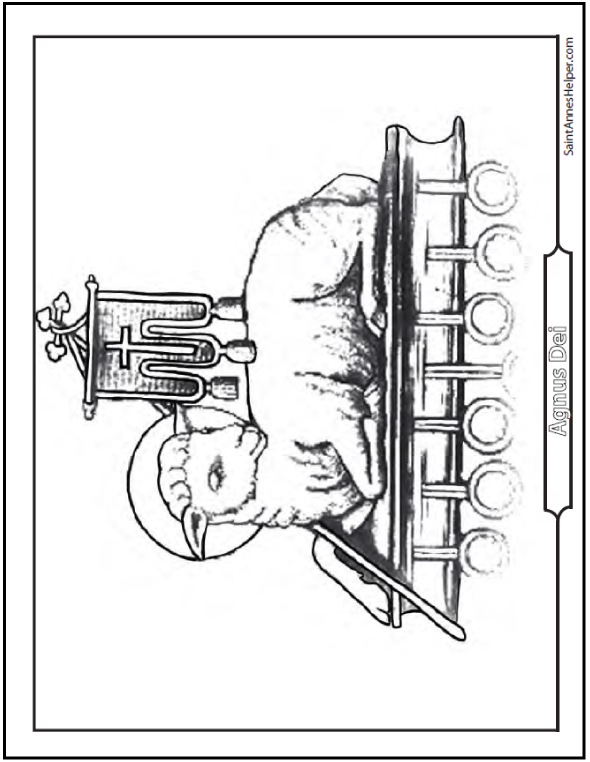 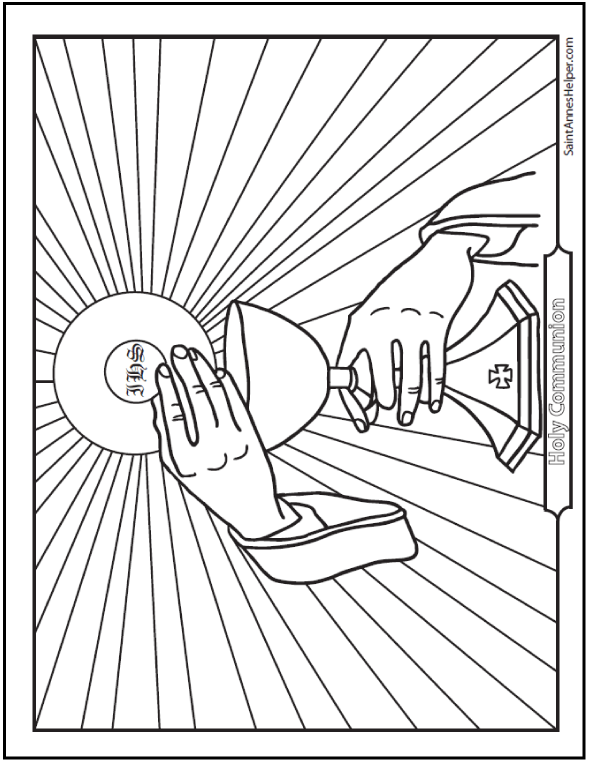 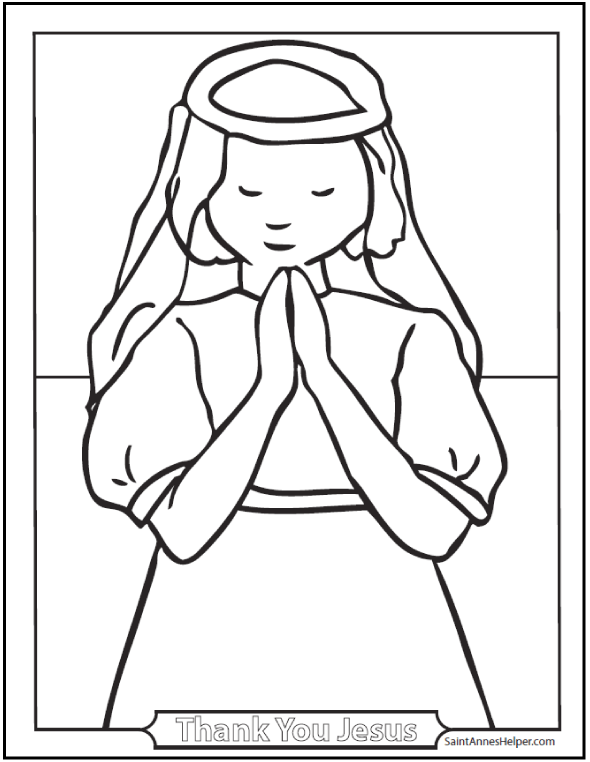 Communion coloring page or greeting card. 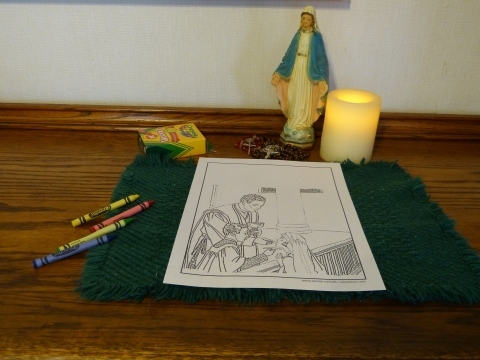 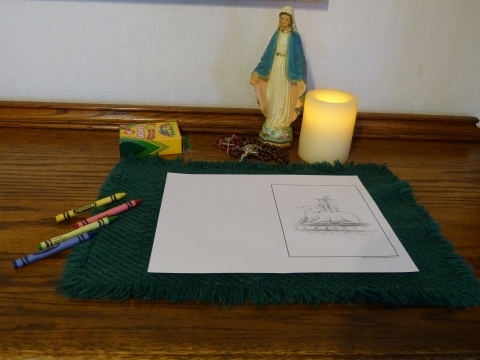 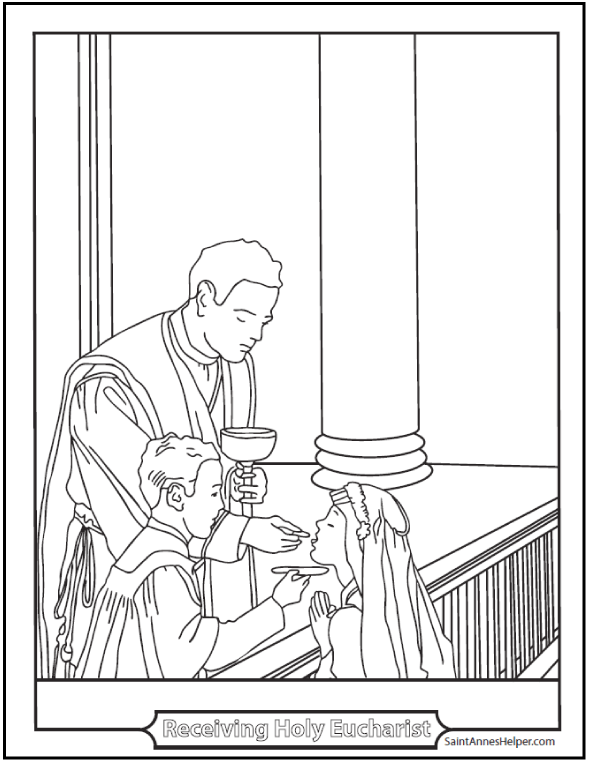 A First Holy Communion coloring page makes your children's memories of learning about Jesus so much happier. 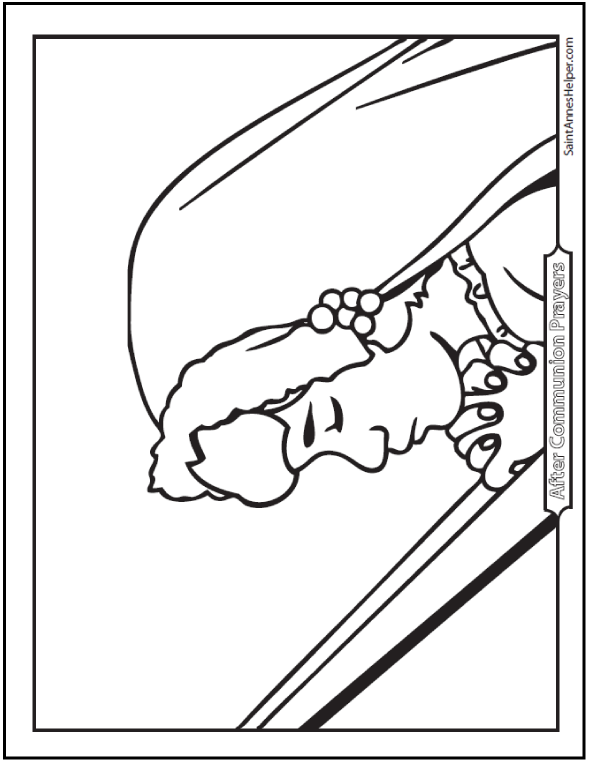 You'll find coloring pages for both boys and girls below. 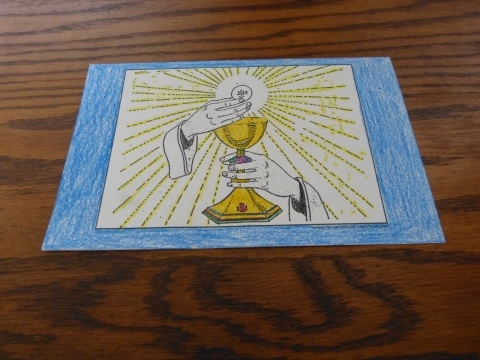 They're all related to the Holy Eucharist. 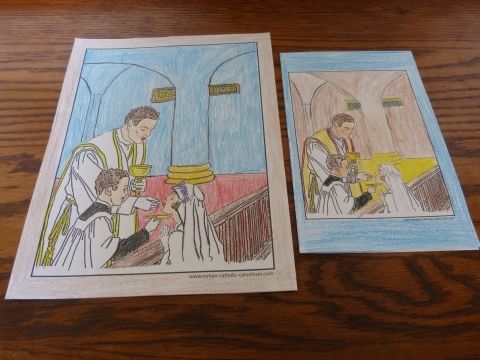 If your little artist is older, the effect of white can be given with super light blue and very light purple outlines. 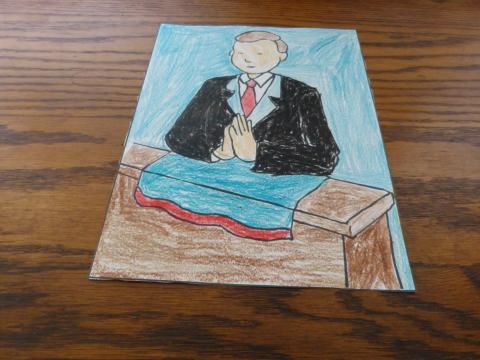 It gives visual appeal. 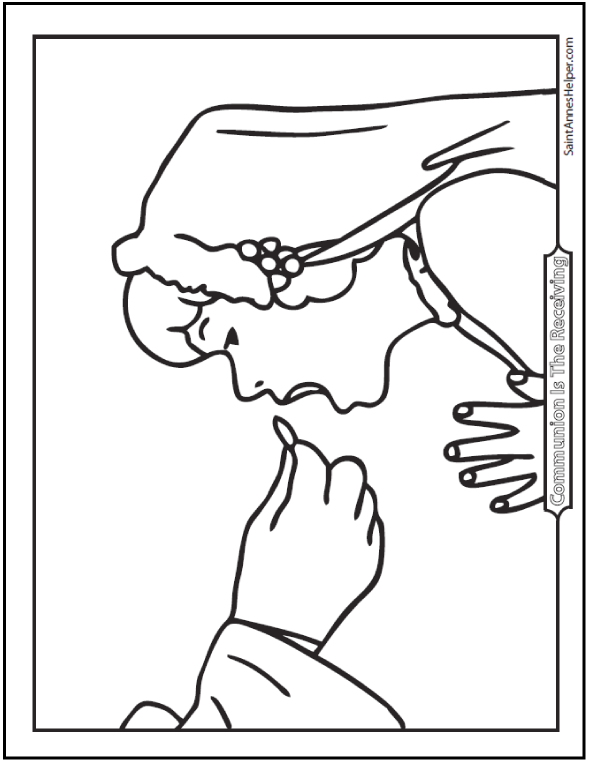 I've found that I usually have to demonstrate this on my own copy first. 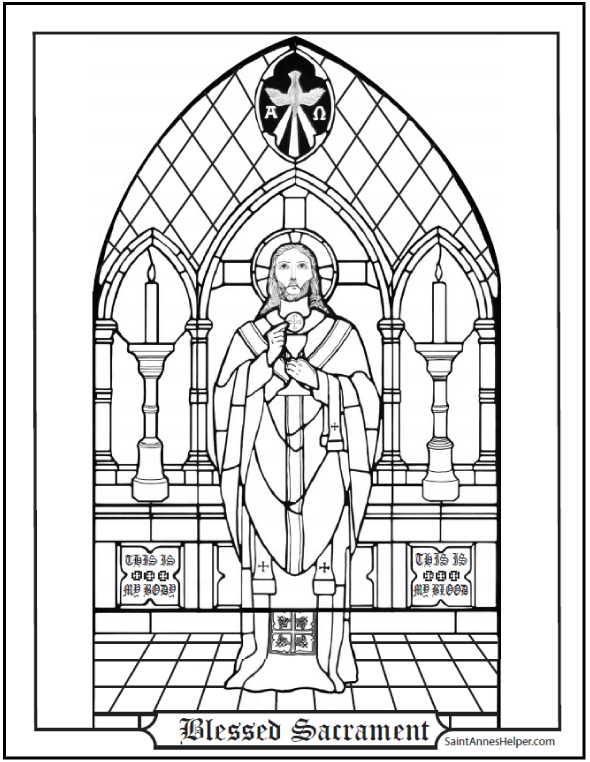 Gold colors work well on Father's vestments and the altar. 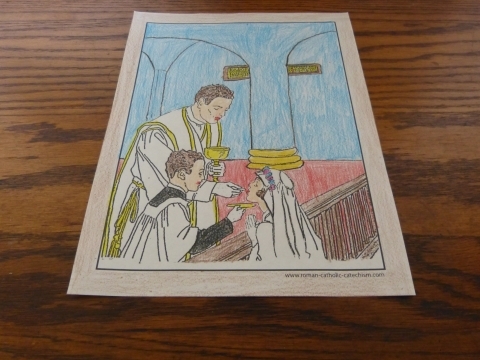 If you do not have a true gold crayon or coloring pencil, yellow, orange and sometimes tan look nice. 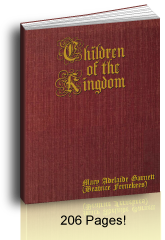 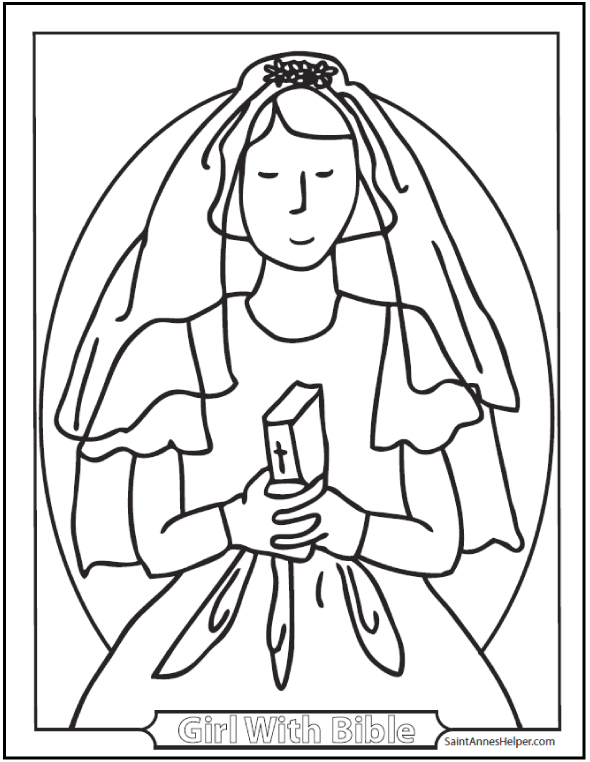 First Communion is the most dear day of our lives throughout many years, and rightly so. 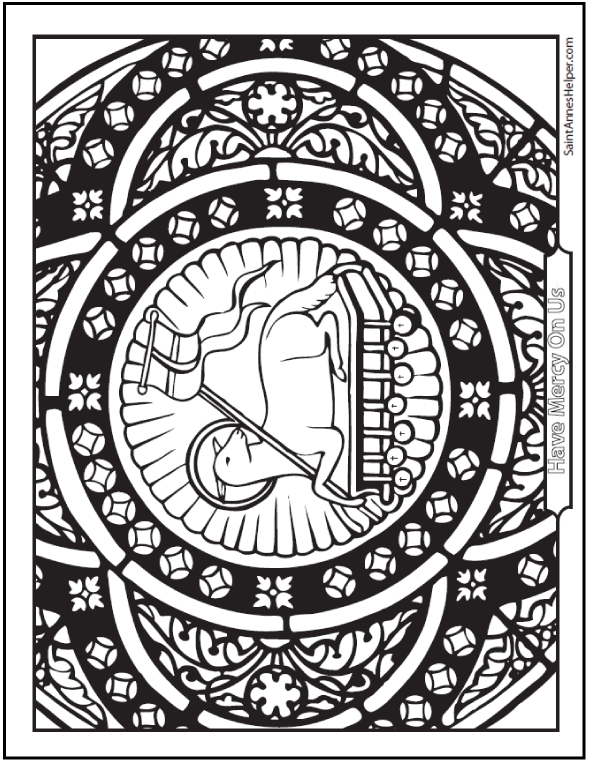 This is the day that we first receive Jesus in the Blessed Sacrament. 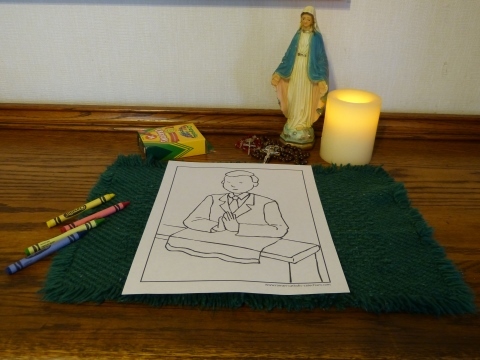 Make keepsake booklets with our printable worksheets and coloring pages to honor this event. 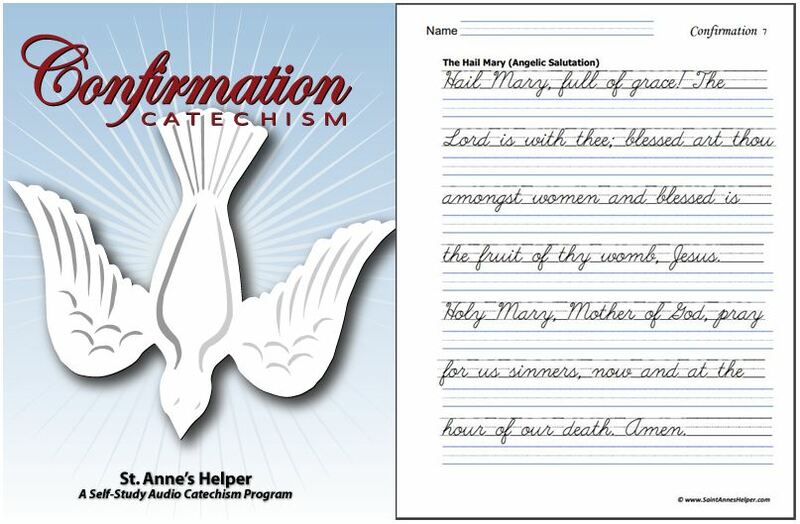 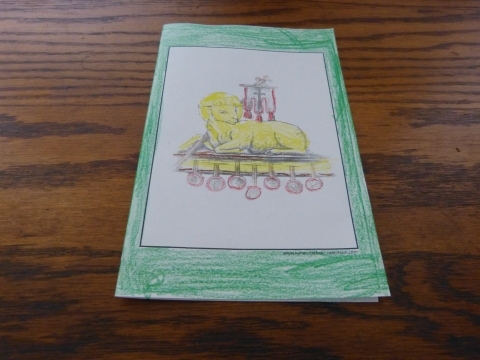 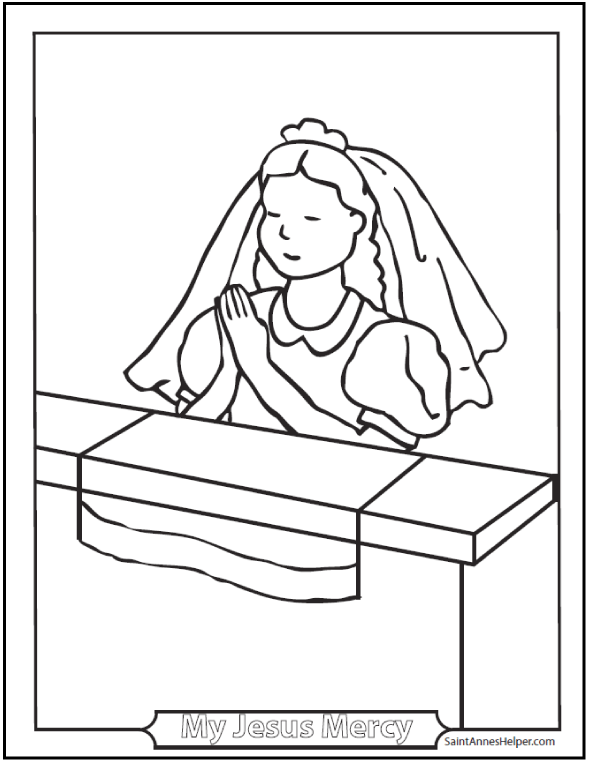 You can make inexpensive First Communion cards by using the booklet setting on your printer. 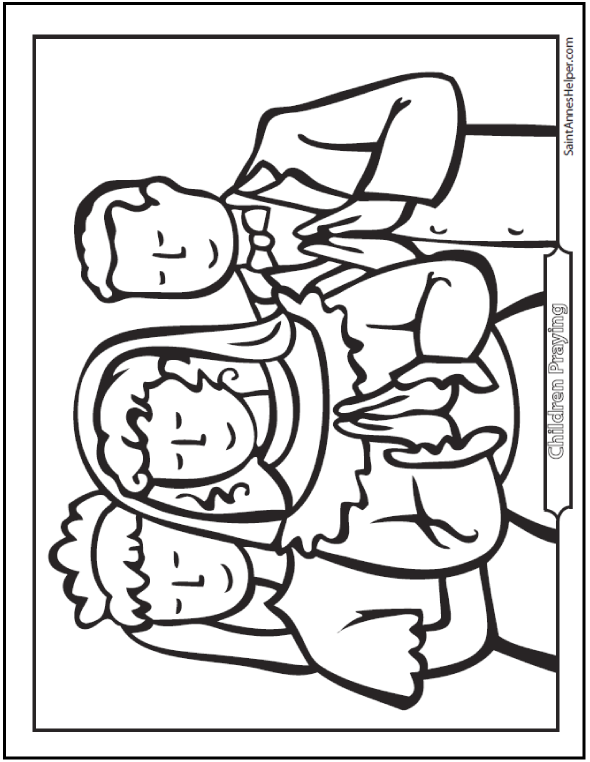 Little ones love doing this for older brothers and sisters and other family and friends. 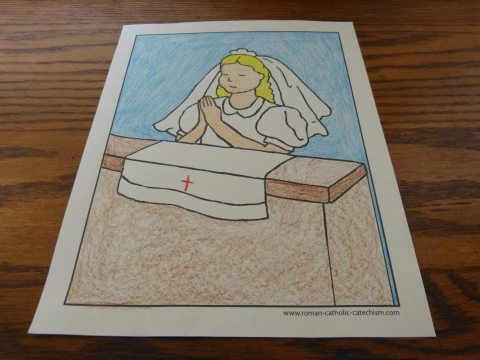 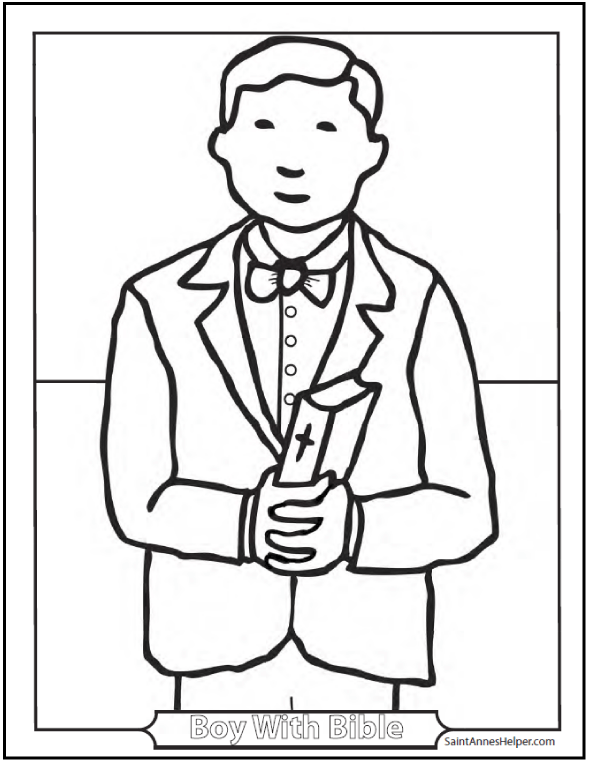 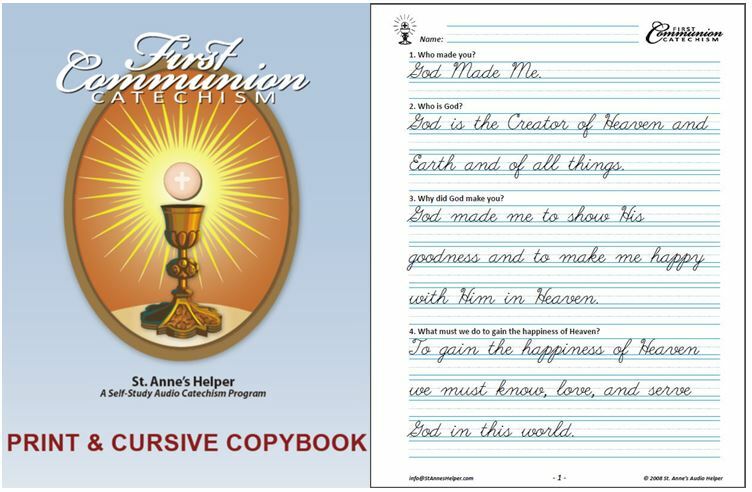 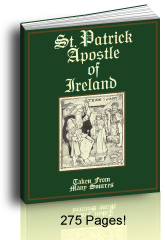 14 First Communion Coloring Pages.